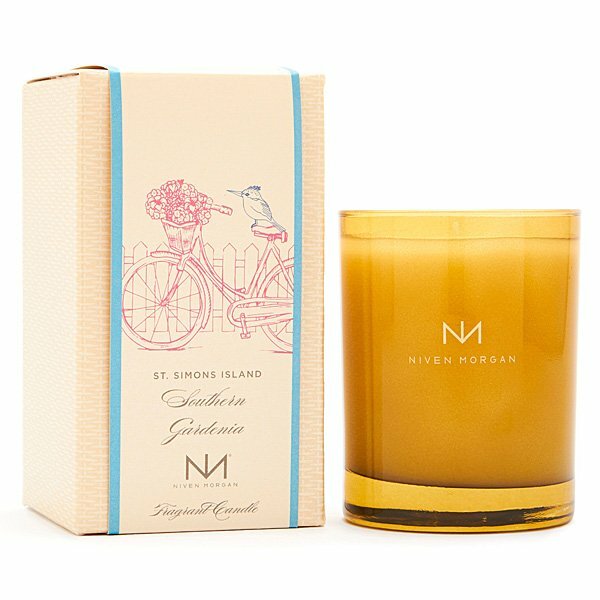 Niven Morgan St. Simons Island Southern Gardenia Candle: Oak trees draped in Spanish moss, lush gardens of blooming gardenias and waves rolling up on sandy beaches. Niven Morgan St. Simons Island candle is a relaxing stroll through time. Niven Morgan Candles: On St. Charles Avenue in New Orleans. In the souks of Marrakech. By the sea in the French Riviera. Niven Morgan travels the world capturing the essence of exotic locales to serve as the spirit and inspiration for his Destinations candle line.